Okay, I am concerned…not just about the state of our oceans. I saw the film, Tomorrowland, a few days ago – and honestly, I was more excited to see a glimpse of one of my favourite beaches (Tippy’s Beach on Eleuthera in The Bahamas) on the big screen than I was to see George Clooney’s mug. Now don’t get me wrong. I still enjoyed seeing (and hearing) George Clooney. But perhaps due to the fact that he’s now a married man, my heart simply didn’t swoon like it used to. But boy did my heart beat faster when I caught a glimpse of Tippy’s Beach on the big screen! Now the first time we actually see the beach in the film, it’s in the distance – seen through the portal of a spaceship (at least, I think it was a spaceship but by that point, I’d kinda lost track). So when the two fighting characters, played by George Clooney and Hugh Laurie, finally went through the portal and ended up on the beach, I was in Heaven…for approximately 17 seconds, during which there was another fight scene (with much sand flying). And then before I knew it, the beach scene was over. But it was a neat experience, seeing a much-loved, familiar place on the big screen. As for the film itself? Well, Tomorrowland was very entertaining and highly creative, even though I was kinda confused in places (but that might just be me). And I certainly resonated with the film’s main message of how the future belongs to the dreamers. As a dreamer myself, this is good news. What I didn’t resonate with, however – much to my surprise – was the film’s other main message about how important it is that people have a positive attitude towards the multiple environmental and societal issues we collectively face. Although I am a very positive person with a positive attitude towards my own life – because I am blessed beyond belief – I do not have a positive attitude towards the future we are all rapidly hurtling towards. From a climate change perspective, we are in serious trouble and if we want the land – and sea – of tomorrow to be anything less than a catastrophic nightmare, the window of time in which we have left to act is closing fast. So perhaps what is needed most right now is some serious negativity towards the reality of our collective future, in order for us to get motivated enough to actually change course? For even the positive dreamers won’t be able to change the planet’s destiny, once the point of no return has been crossed…which is in 5 years, if we’re lucky. 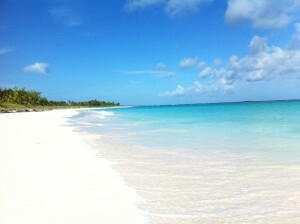 And this link will take you to a few more stunning snapshots of Eleuthera…enjoy!